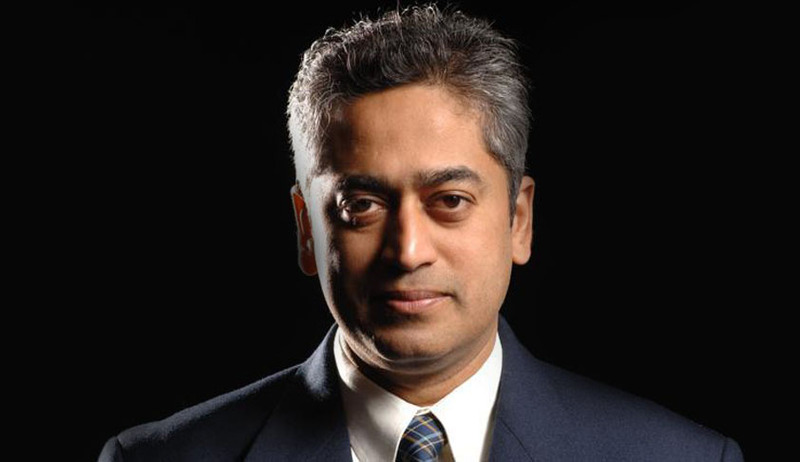 The Supreme Court has dismissed a criminal appeal filed by a senior journalist Rajdeep Sardesai challenging the summons issued to him by the Additional Metropolitan Sessions Judge, Nampally (in Andhra Pradesh) in a case filed under Sections 499 and 500 (defamation) read with 120B of the IPC for allegedly making false implication against a senior officer of Hyderabad police in connection with Sohrabuddin encounter case in 2007. A Bench of the Apex Court comprising of Justices V Gopala Gowda and C Nagappan also rejected the appeals filed by seven other journalists associated with various print and electronic media houses, who were also summoned along with Rajdeep Sardesai for allegedly defaming Rajiv Trivedi, Additional Commissioner of Police (Crimes and SIT), Hyderabad, Andhra Pradesh. The other journalists summoned were Sidhartha Gautam, Swati Vashishta, V K Shashikumar, Ahmed Ali Shaik, Gulab Kotari, Hemender Sharma and Lateef Mohammed Khan. Pursuant to the telecast/publication of the allegedly defamatory news report against Rajiv Trivedi (the second-respondent in the case), he had submitted a representation to the Andhra Pradesh State Government seeking previous sanction under Section 199(4)(b) of the Code of Criminal Procedure for prosecutionof the appellants for defamation. The state Government, acting on the representation accorded sanction for prosecution, permitting Rajiv Trivedi to file complaints against the appellants through the State Public Prosecutor before the appropriate court of law against Rajdeep Sardesai and the other individuals connected with electronic and print media against whom Trivedi had sought sanction for prosecution. Pursuant to the accord of sanction by the State Government of Andhra Pradesh, criminal proceedings were initiated by the State Public Prosecutor on behalf of the State of Andhra Pradesh against the appellants. Thereafter, the Additional Metropolitan Sessions Judge before whom complaints were instituted by the State Public Prosecutor, took cognizance of the offences alleged against the appellants and passed orders summoning them to appear before the Court for further proceedings in the respective cases. It was this order of the Sessions Court that was impugned, firstly before the High Court, and thereafter, before the Supreme Court. The appeals were directed against the common judgment passed by the High Court of Andhra Pradesh dismissing the journalists’ pleas against the order summoning them. The appellants’ primary contention was that their names had not been specifically mentioned in the sanction order issued by the State Government and that the State Public Prosecutor cannot therefore make a complaint under Section 199(2) of Cr.P.C. against an individual in respect of whom no sanction has been accorded by the State Government as required under Section 199(4) of the Cr.P.C.. The Bench however rejected this submission, saying that it was not necessary to mention the names of each one of the accused who are alleged to have committed the offence in the same alleged transaction. "We are of the opinion that the impugned judgement passed by the High Court of Andhra Pradesh in rejecting the petitions for quashing the initiation of criminal proceedings against the appellants under Section 482 of the Cr PC is perfectly legal and valid. The same does not call for interference by this court in exercise of its appellate jurisdiction as there is no substantial question of law framed in the appeals nor is there any miscarriage of justice for the appellants to interfere with at this stage," it said. The bench said that the appeals were devoid of merit, liable to be dismissed and "are accordingly dismissed". "The orders granting stay of further proceedings before the trial court shall stand vacated," it added.